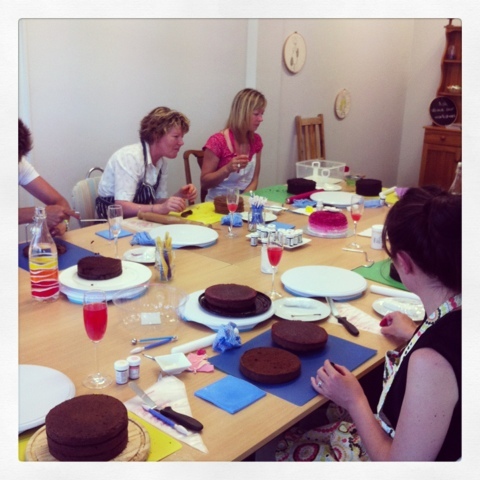 Last week my fab sister-in-law and I went to a cake decorating class at the new Make Cafe in Christchurch. 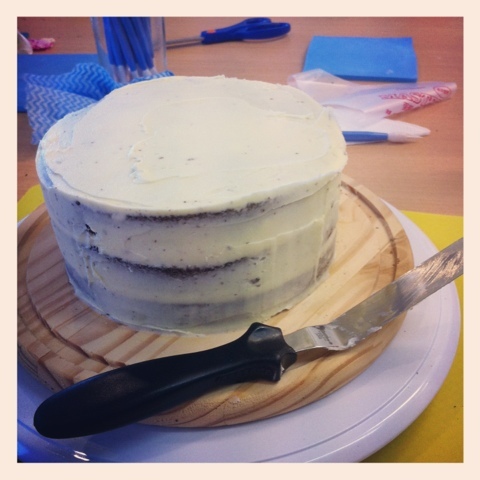 It was great fun and now I'm pretty much obsessed with decorating cakes etc. which is funny, because I'm on a strict diet and can't eat any of it. But that's okay! I just imagine it is molding clay, paint and stuff - all inedible. It's amazing how your brain can adjust for these things. 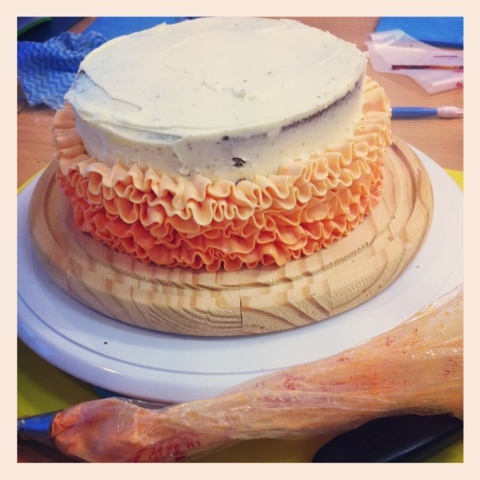 We learnt how to pipe a ruffle onto cakes with the 104 petal tip. 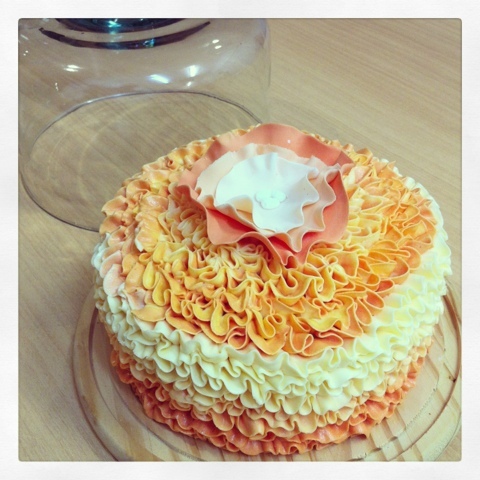 We also got taught how to make fondant flowers and we played with colour gels - my new fav. I am now obsessed and I've been watching all sorts of videos on youtube - I wanna be a pro now. Watch this space for more of my decorating progress!